Gavaskar vs Vishwanath = Tendulkar vs Dravid? Although they were part of the same Indian team—sharing the dressing room, sharing partnerships, sharing victories, defeats and draws—cricket fans detected a faint undercurrent of competition and conflict between Sunil Gavaskar and G.R. Viswanath. On one level, this was the old battle between two stellar domestic Ranji Trophy sides, Bombay and Karnataka, playing out subliminally through its two leading lights, one a fearless opener who faced the fast and the furious without a helmet; the other an artist who wielded the willow like a brush. 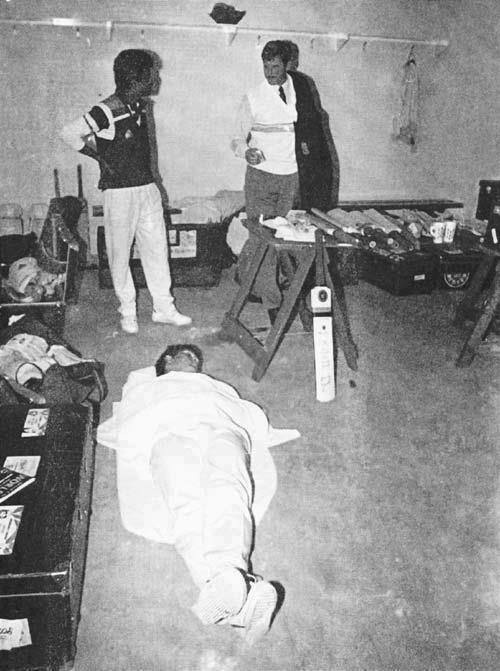 On another level, it was a deeply ingrained stereotype, that “Sunny”, for all the records against his name, was a selfish, mammon-worshipping run-machine with one eye always on the right-hand column of the scoreboard, as opposed to the selfless “Vishy”, who put the team’s interests before his own. It would have been easy to blame the media for the Gavaskar vs Vishwanath row, but this was in pre-television, pre-internet India of the 1970s and ’80s. Gavaskar’s pathetic gesture of batting left-handed, down the batting order, in a Ranji match Bombay were losing against Karnataka only confirmed the worst suspicions of cricket followers, but all was forgiven when Gundappa chose Sunny’s sister Kavitha to be his wife. Was there a similar vibe between Sachin Tendulkar and Rahul Dravid? The former, a run-machine from Bombay who adored Gavaskar, and the latter, a touch artist whose idol was Vishy? Like their icons, Tendulkar and Dravid were kingpins of batting. Without the other, each would have had less to show; without both, the side would have suffered. They played hundreds of matches, scored thousands of runs together. Still, was it all hunky-dory between the two? Did Dravid have his team’s interests when he declared the Indian innings in Pakistan even as Tendulkar was within striking distance of his first double-century? Did Tendulkar conveniently lose his form when Dravid was captain? “My most revealing journalistic Sachin moment came in an NDTV Walk the Talk. “‘If you had to take one stroke from each one of your four great batting peers, Dravid, Virender Sehwag, Sourav Ganguly and V.V.S. Laxman, what will it be,’ I asked. “‘It will be Sehwag’s cut, nobody cuts like him,’ he said, ‘Ganguly’s cover drive, Laxman’s flick off-the-hip and Dravid…’ he paused for a moment to think. “And what will you take from Dravid, I asked, my mischievous journalistic sensors abuzz, thinking of the little issue the two had just had in Pakistan (Multan) when Dravid had declared with Sachin not out at 194. “I called 10 self-proclaimed cricket experts to ask if that comment was bitchy or brilliant. The verdict: 10:0, brilliant. Now, wasn’t that a stroke of cricketing genius? Sunil Gavaskar: India’s most petulant cricketer ever? This entry was posted in Cricket, Etcetera, Kannada & Karnataka, Media and tagged Bombay, Churumuri, G.R. Vishwanath, G.R. Viswanath, Gundappa Vishwanath, Multan, NDTV, Pakistan, Rahul Dravid, Ranji Trophy, Richard Hadlee, S. Venkatapathy Raju, Sachin Tendulkar, Sans Serif, Saurav Ganguly, Shekhar Gupta, Sunil Gavaskar, The Indian Express, V..V.S. Laxman, Virender Sehwag. Bookmark the permalink. Bombay players were always jealous of Karnataka players, because Karnataka always looked at team interest above self interest. Same can be said of karnataka ’s interest in other aspects of being in the confederation called India. few articles are nonsense in few lines; few in its heading; few in analysis, conclusion. But this one has all those to be one of most pathetic cricket article i have recently read. Multan test incident was very normal event and expressions given by both Dravid & Sachin were never out of control. Both players are extreme gentlemen and even though both felt bad , they never expressed anything publicly. And look at the reference your article is mentioning? Shekhar Gupta !! least say the better.. I am still searching for his answer for sherlock homes detective episode he did when he published possible coup by indian army in his newspaper 2 years back!. Cricket , Sachin, Dravid are few topics in India..thankfully we indians dont need to rely on so called media, jounralists for truth and facts. This article is a weak attempt to create an issue where there was/is none. Dravid, Tendulkar, Gavaskar, Vishwanath. All were great batsman. None of them required another batsman to be shown in a bad light in order to be seen in a good light. Each had enough talent to shine on their own merits. Rather weak journalism. If it’s a slow news day, just don’t post anything rather than creating something out of thin air like this. I remember another article on Churumuri some time ago that was attempting to show Ranthambore National Park in a poor light simply to prove that Nagarhole National Park was a great park. Disturbing trend. Are these the only way we can show how great our State is? By putting down aspects of other States? I think we are a grand enough State and culture to not be that insecure. I suggest that Indians should stop considering cricket as the sole sport worthy of comments. There are other sports the country need encouraging, and it is time to talk about them. It is not surprising hence that there are not that many of Indian origin sportsmen/women outside the country who shine in football-American and European versions, basket ball, baseball etc.. although US and Europe have a large mass of Indian diaspora. Please get out of this silly cricket frenzy please. Vishwanath or Tendulkar , they contributed nothing to the Indian populace except an avoidable madness ! i am with you SK Muthanna! Drink?